A Star is Born stars Bradley Cooper and Lady Gaga, in her first leading role in a major motion picture. Cooper helms the drama, marking his directorial debut. 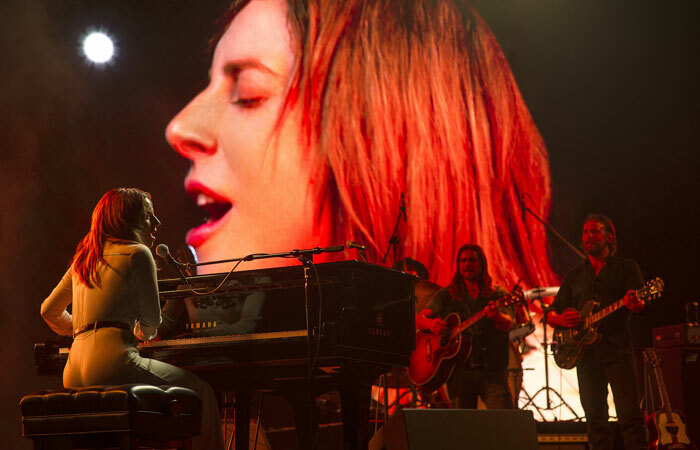 In addition to playing Ally, Gaga performs original songs in the film, which she wrote with Cooper and a handful of artists, including Lukas Nelson, Jason Isbell and Mark Ronson. All the music is original and was recorded live.